Visit the global The Problem: Civilization » Human Supremacy » Mining & Drilling archives for posts from all DGR sites. ST. PAUL, Minn. (AP) — A spill at a sand mining facility in Wisconsin has dumped an unknown amount of sand and other sediment into the St. Croix (kroy) River and wetlands near the Minnesota border. 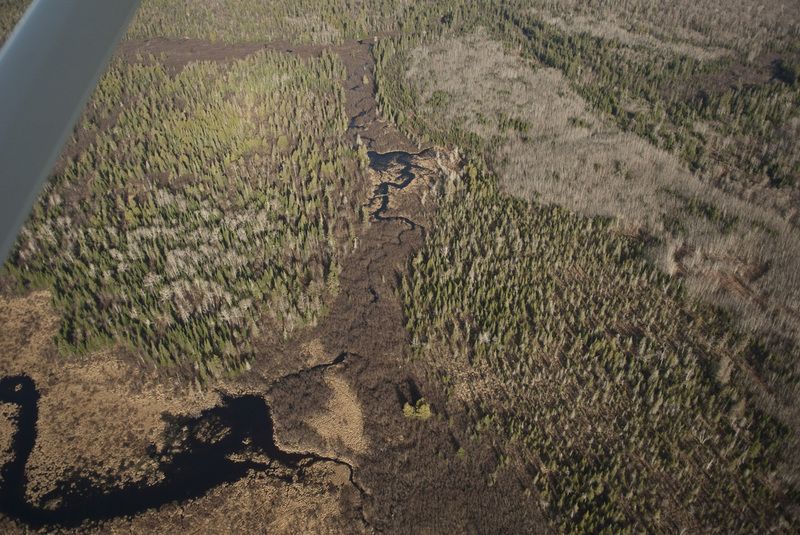 Wisconsin DNR officials tell Minnesota Public Radio News it’s too soon to know how much damage was done. Conservation officials learned of the leak on April 22, when a hiker reported seeing cream-colored water in a creek flowing to the St. Croix River. DNR investigators traced the murky water back to a sand mining facility operated by Maple Grove-based Tiller Corp., where they located a leak in a holding pond. The sand is mined for use by the petroleum industry to help extract underground natural gas and oil supplies in a controversial practice called hydraulic fracturing, or fracking. This entry was posted in Mining & Drilling and tagged Fracking, Industrial "accident", Water on May 21, 2012 by Deep Green Resistance Wisconsin. richest, most accessible supply of the high-quality silica sand required for fracking operations. 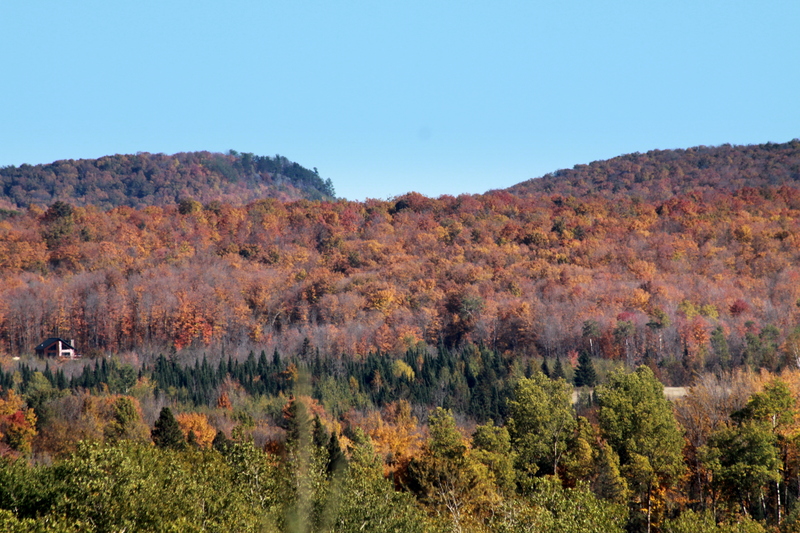 Unfortunately, most of that silica sand lies beneath our beautiful wooded hills and fertile farmland, and within agricultural and residential communities, all of which are now being ripped apart by sand mines interests eager to get at the riches below. This open pit mining is, in many respects, similar to the mountaintop removal going on in Appalachian coal country—except that here, it’s hilltop and farm field removal. The net effect on our landscape, natural resources and communities is quickly becoming devastating. In the past few months, the sand rush has come to my own rural neighborhood in Dunn County, Wisconsin, which is about an hour east of St. Paul, Minnesota. Like many residents in Dunn County, I’m concerned about the speed and intensity with which frac-sand mining interests are moving into our area. The proposals and applications for mines and related infrastructure are coming in so fast (our region has seen dozens just in the past few months), most small towns have been totally overwhelmed. Organizations trying to map and report all the activity literally cannot keep up with the incoming data. This entry was posted in Mining & Drilling and tagged Fracking, Minnesota, Natural gas, Oil, Wisconsin on April 27, 2012 by Deep Green Resistance Wisconsin. Madison – In a release today, the blog Cognidissidence posted what it dubbed as a secret email to Gov. Scott Walker from Walker staffer Andrew Davis. The email depicts talking points Walker will use to justify the breaking of treaties with tribes in Northern Wisconsin by opening their lands up to iron ore mining. To give you a brief history, The Ojibwe of Wisconsin signed three major land cession treaties with the United States in 1837, 1842, and 1854, ceding their entire homeland to the U.S. and establishing reservations for four Ojibwe bands in the state. The 1837 land cession treaty between the United States and the Ojibwe was concluded at a conference held near present-day Minneapolis-St. Paul in Minnesota. There, the Ojibwe traded the majority of their Wisconsin lands for a twenty-year annuity of $9500 in cash, $19,000 in goods (blankets, rifles, and cooking utensils), $2000 worth of provisions, $3000 to establish and maintain three blacksmiths’ shops, and $500 worth of tobacco. Congress appropriated another $75,000 to pay debts the tribe owed to fur traders. A final treaty provision reserved the Ojibwe’s right to hunt, fish, and gather wild rice on ceded lands. More, President Obama Promised Tribal Leaders Help with environmental issues in November 2009 when he signed a memorandum directing every Cabinet agency to give him a detailed plan within 90 days of how they will implement an executive order signed by President Bill Clinton nine years ago that established “regular and meaningful consultation and collaboration” between tribal nations and the federal government. This entry was posted in Colonialism & Conquest, Mining & Drilling and tagged Bad River Band, Scott Walker, Water, 11: Civilization is a culture of occupation on February 21, 2012 by Deep Green Resistance Wisconsin. 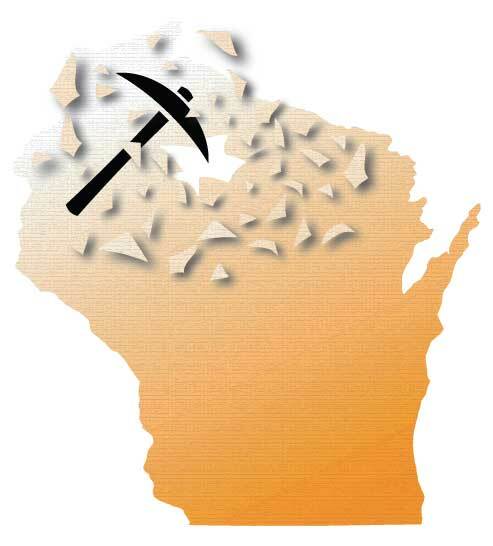 Citizens from around the state are planning to protest the proposed Assembly iron mining bill Wednesday and Thursday, according to the Wisconsin Network for Peace and Justice. A “Bury the Bill” rally will take place on Wednesday at 5 p.m. at the State Capitol on the State Street steps. Then, Thursday from 10 a.m. to 6 p.m., a “People’s Tribunal” will take place in the north hearing room of the Capitol building’s second floor. The Wednesday rally will feature speakers including Wisconsin Democracy Campaign Director Mike McCabe, Laura Gauger of the Wisconsin Resources Protection Council, Ben Manski of Wisconsin Wave, and attorney Glenn Reynolds. Photos and maps of the area around the proposed open-pit iron mine in Ashland and Iron Counties will be available for public viewing, and a short performance will demonstrate the impacts the bill could have on the Northwoods. At the Thursday tribunal, anyone who wants to speak publicly will be invited to speak about the proposed legislation and mining in general. The Wednesday protest and Thursday Tribunal are hosted by Madison for the Penokees. Participating organizations include the Penokee Hills Education Project, Mining Impact Coalition of Wisconsin, Wisconsin Network for Peace and Justice, SaveTheWatersEdge.com, Wisconsin Democracy Campaign, Sierra Club, Wisconsin Resources Protection Council, Midwest Environmental Advocates, Madison Infoshop, Family Farm Defenders, Take Back the Land-Madison, Groundwork White Anti-Racist Collective, Deep Green Resistance–Wisconsin, Lake Superior Greens, Madison-area Urban Ministry, and People Empowered to Protect the Land of Rosendale. This entry was posted in Mining & Drilling, Protests & Symbolic Acts and tagged Bills & laws, DGR activity & statements on February 4, 2012 by Deep Green Resistance Wisconsin. The Bad River Band of Lake Superior Chippewa are working, along with several NGOs, to stop a controversial mining bill that would gut existing environmental protections and effectively silence the public in order to streamline mining projects in the state of Wisconsin. Prohibit the DNR from monitoring mine waste sites or facilities, stopping work at a mine if there are permit violations or pollution, or making mine companies pay fines for those violations. Force the DNR to make a decision on a mining permit within 360 days, otherwise it is automatically approved. This entry was posted in Indigenous Autonomy, Mining & Drilling, Toxification and tagged Bad River Band, Bills & laws, Water, 11: Civilization is a culture of occupation on January 13, 2012 by Deep Green Resistance Wisconsin. Open water stretches for miles to the north, and a soft, cool breeze whips your hair into your eyes. The hardwood forest opens behind you to a pale sand beach into which you sink your toes. Gulls laugh and a single piping plover searches for mollusks amongst the gentle lapping waves. The rough outline of a commercial tug can be made out through the sea haze. No, you’re not on the east or west coast. This is the northern coast, often overlooked by most Americans, but not Midwesterners. The inland seas, our Great Lakes, have been an inspiration and way of life for generations up here. Lake Superior is the largest freshwater lake in the world, covering an area the size of South Carolina. Its sloughs and shorelines contain rich wild rice beds and its waters over 80 species of fish. The Lake Superior region, spanning Minnesota, Wisconsin, and Michigan, as well as Ontario to the north, has been home to the Ojibwe people for over two hundred years, and before then, the Dakota and Huron. However, like most of America’s beautiful, natural places, it, too, is under threat of destruction and poisoning by industrial civilization. Since the late 1800s, the Lake Superior region has suffered from large-scale iron mining operations, supplying over three-fourths of the nation’s iron ore. The land was stripped of this resource half a century ago, but with current rising prices of iron and other minerals surrounding Lake Superior, mining companies are going back to dig out the dregs, a low-grade iron ore called taconite. Communities in the upper Midwest have been affected by air and water pollution as well as poverty associated with the boom-bust cycle of resource extraction. In the past several decades, however, Wisconsin has become a stronghold against large mining operations due to a mining moratorium law passed in 1998 after a prolonged struggle against sulfide mining that began in the 1970s. Now, Wisconsin’s strong environmental laws are being rewritten by a new administration working hand-in-hand with mining companies. This entry was posted in Mining & Drilling and tagged Bad River Band, Water, 11: Civilization is a culture of occupation on December 30, 2011 by Deep Green Resistance Wisconsin.